The Old Kent Road is often referred to as the cheapest street on the Monopoly Board. Now it has been declared an opportunity area! But for whom and for what? ‘Opportunity Area’ should suggest the opportunity to do things differently, be inventive, not to repeat and regurgitate what has gone wrong in other places. Plans of an unfathomable scale are currently in the making: more than 20.000 homes will replace the industrial land and the retail sheds on the Old Kent Road that currently employ the same number of people as the city centre of Glasgow. Very few of the local residents and businesses appear to understand the changes that are afoot. 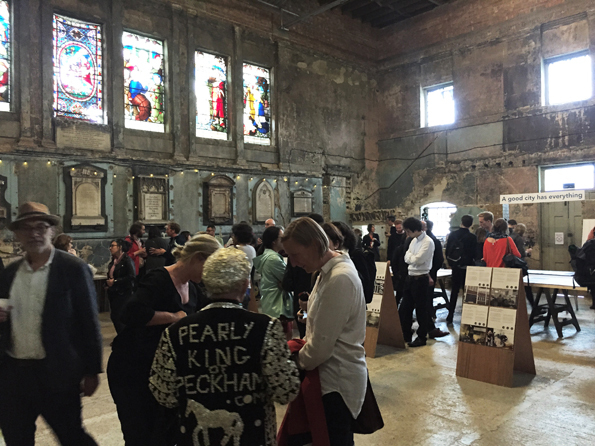 The Peckham weeklies together with Old Kent Road People, local residents, businesses, the CASS, UCL and LSE are hosting this event – a combination of group action, 5min provocations and recent studies of the OKR. We are hoping to bring together as many people as possible to form a spontaneous kazoo choir that will perform the classic music hall song “knock’d ‘em in the Old Kent Road’. To rehearse the song have a look at the Muppets. We hope this event will flush out the facts, some insights about the scale and style of communities at risk, and galvanise people around what needs to be done to preserve essential qualities, facilities and character of this iconic street. The speakers will followed by an Open Mic forum. Community – the C Word. Richard Lee, a founder and director of the Jerwood Space in Bankside and chair of access charity Stagetext, highlights the slippery quality of this C word which, by being applied to everything can end up meaning nothing. Invisible assets: David Fox of Artistic Spaces highlights the Old Kent Road as a haven for creatives and start-ups: the Old Kent Road offers vital cheap studio space for well over 100 individuals and small businesses, from painters, architects and sculptors to fashion designers. All of these are at risk. 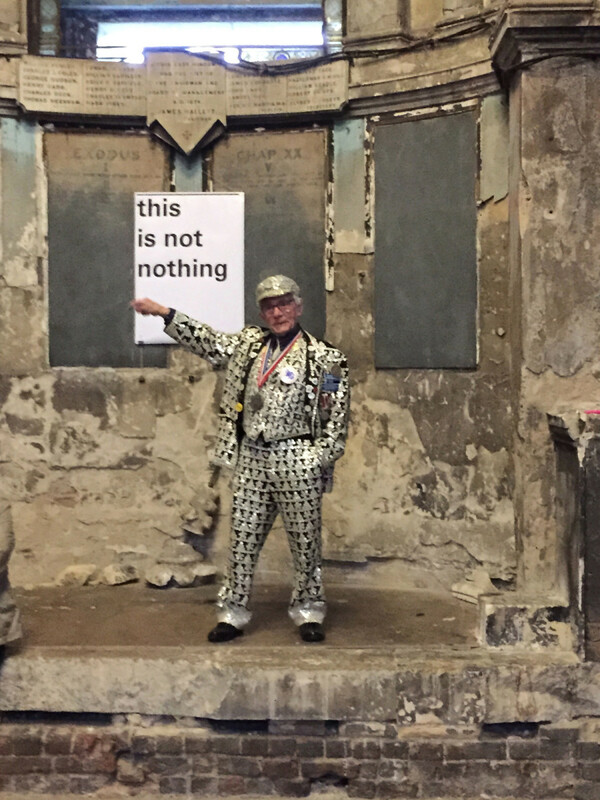 We are Not Nothing: Mark Brearley, local business owner and professor at the Cass School of Architecture, highlights what light industry has brought to the area. Also at risk from development. Compulsory Purchase Orders: Jane Rendell professor at UCL and local resident will examine the growing use of ‘compulsory purchase orders’. Opportunity for everyone: Nicolas Okwulu of Pempeople taking about the proposed community venue Old Kent Road studios based in 60 garages on the Ledbury Estate. David McLean of Southwark Group of Tenants Organisations highlights the role of TRAs within social housing and local regeneration. What’s under our noses: Ulrike Steven, architect and Old Kent Road resident delivers a summary of the massive changes afoot that none of her fellow OKR’s residents appear to know about. Tanya Murat of Southwark Defend Council Housing, on Council housing’s vital role for helping working class people to live in London. 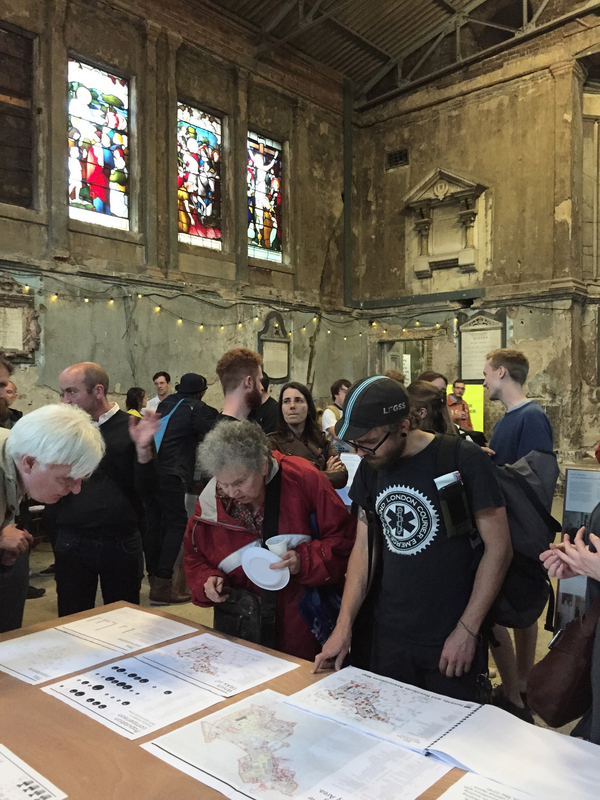 UCL research fellow Elena Besussi will introduce Old Kent Road facts and figures, gathered by her students. We are excited to welcome Peckham’s Pearly Kings and Queens at the event! Asylum uses the chapel as a project and exhibition space, hires it out for events, weddings an funeral wakes and as a location for film and photography. 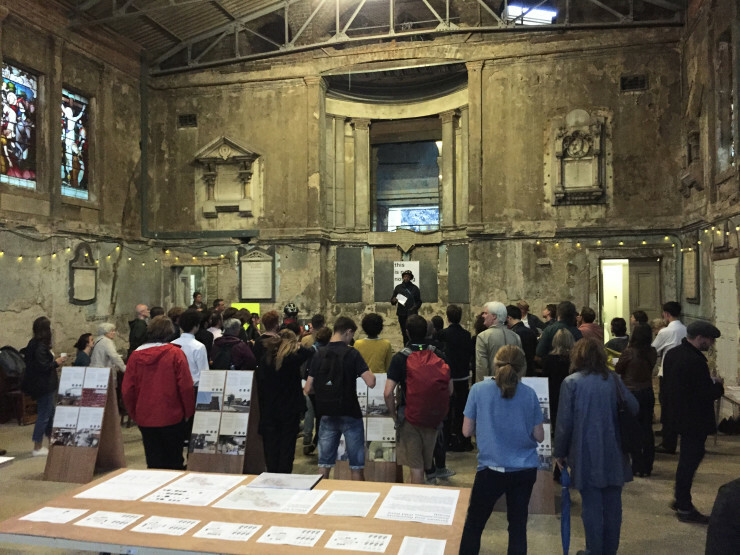 Special thanks to Maverick Projects for letting us use the Asylum chapel to host this years LFA event.